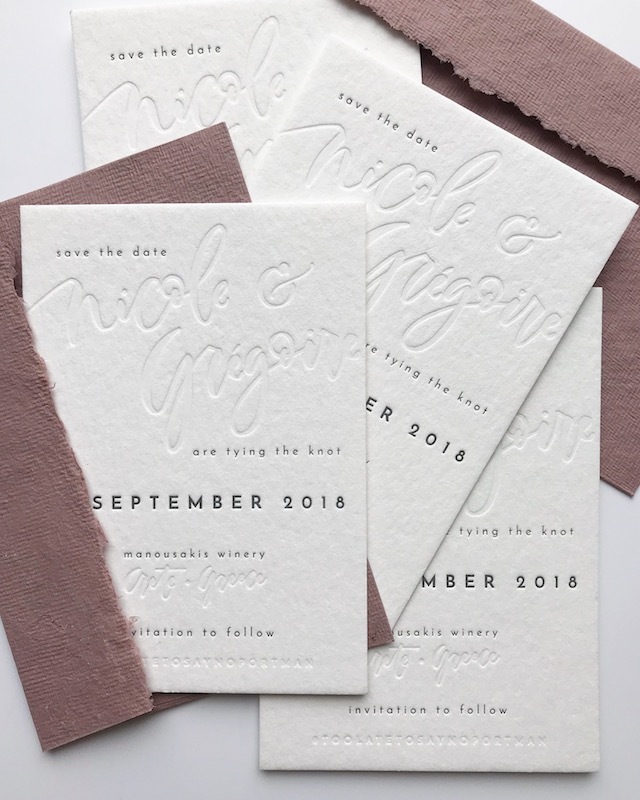 Pale Press London is a modern calligraphy studio providing beautiful unique stationery for weddings, bespoke commissions for brands, hand lettering at events and workshops. 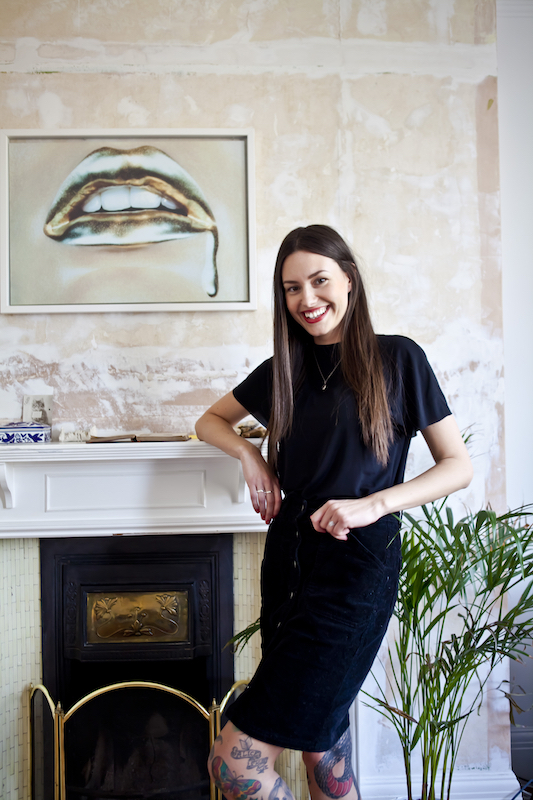 We sat down and chatted with Ashley Jones founder of Pale Press London to find out all about her exciting plans for the future. Tell me, How did Pale Press London start? I’d spent my professional life working in a variety of roles from art galleries to advertising, yet nothing seemed to feel like the right fit. 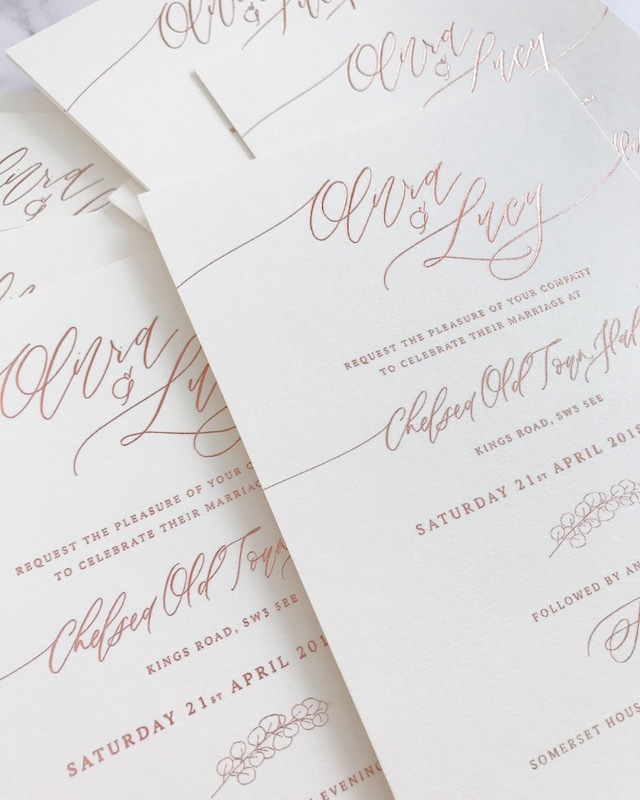 I’d studied English Literature but always loved to be creative in my spare time and after helping create stationery for a few friends weddings, I decided to take the leap and start Pale Press London. I’d always had a passion for hand lettering and illustration so it instantly felt like the obvious thing for me to be doing…I only wish I’d done it sooner! As cliched as this sounds, everyday is different. Typically though, if I’m working from the studio, I try to increase my productivity by time-blocking so that I don’t attempt to do everything (and subsequently nothing) all at once. I’ve found this is essential when you are your own boss! Some days might be spent addressing envelopes in calligraphy, some are spent designing stationery and others I could be hand lettering at events. My favourite days are when print deliveries come in and I get to see my designs in the flesh. 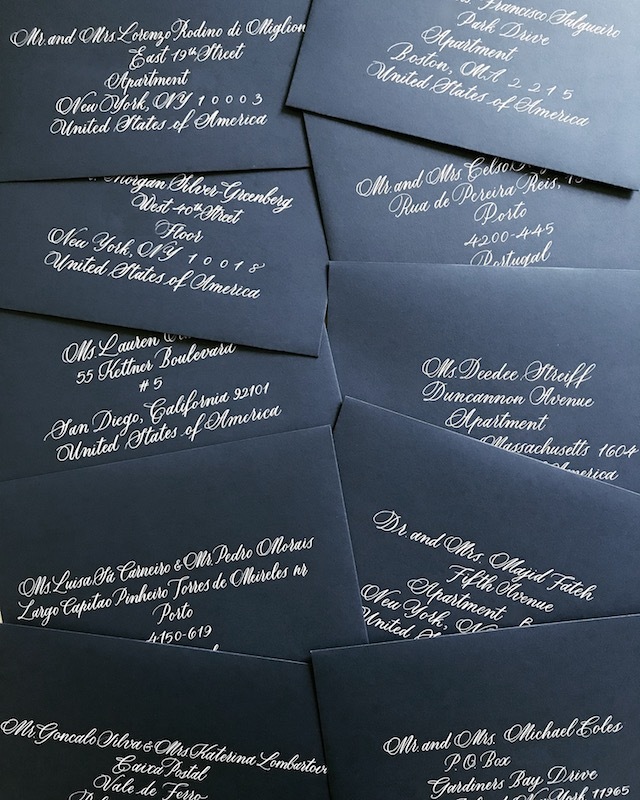 It’s especially nice to see your calligraphy letterpressed or foiled onto beautiful paper stock. What is your favourite commission to date? I’ve been very lucky to have worked with some brilliant brands and brilliant causes creating event stationery but generally, I love designing wedding suites. I couldn’t pick a favourite though, as there is something I love about each bespoke commission. What does modern calligraphy mean to you? Because modern calligraphy doesn’t follow the strict rules of traditional calligraphy, it’s a lot more accessible for people to start as a hobby. There is a huge community of people that practice the art of creative hand lettering and each person brings their own individual style. In the modern age, it also feels extra special to receive something beautifully written by hand. I find it very meditative too! So in answer to your question – accessibility, community and style. 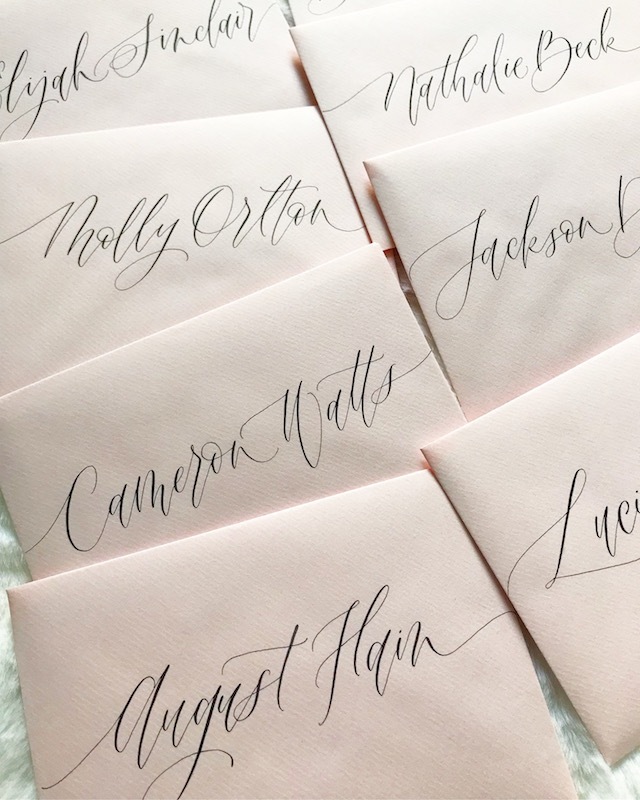 What are the current trends emerging in modern calligraphy? 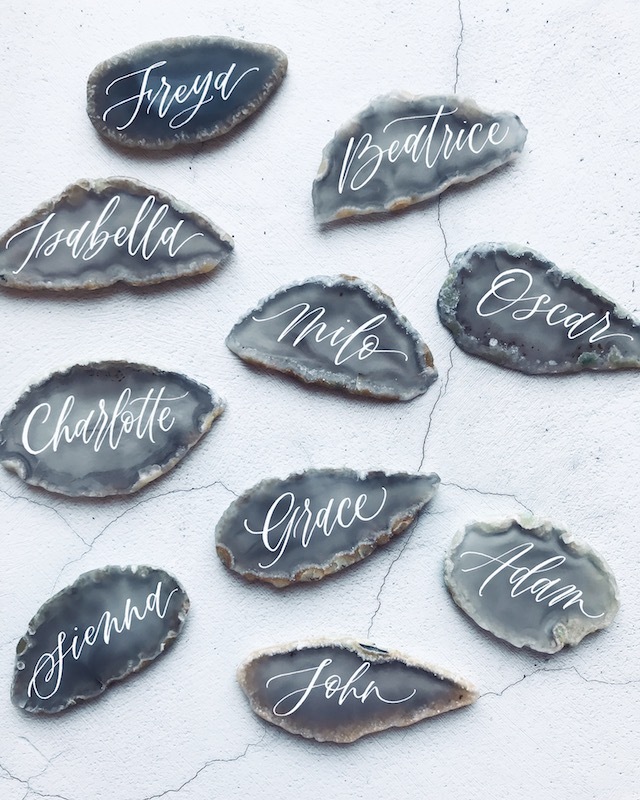 Lettering onto surfaces such as agate, marble, acrylic and silk (to name a few) are extremely popular at the moment. As is cotton rag handmade paper for place cards or invitations and wax seals with calligraphy design details. What advice would you give to aspiring calligraphers? Practice, practice, practice. Keep your practice sheets to look back at how far you’ve come. Be patient and enjoy yourself. Tough question as I love almost every flower but ranunculus are my all time favourite. So delicate and intricate. I always try to have fresh flowers in my studio. My other dream job would be a florist!